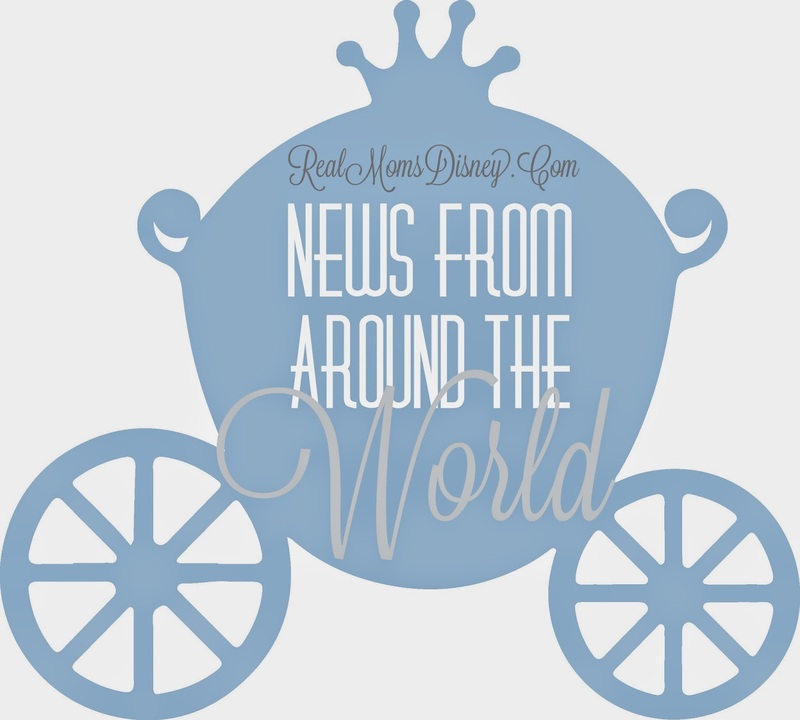 Wondering what it’s like to manage a stroller in the Disney Parks or debating on whether or not you should use one? See how the Real Moms do it! Do I really need a stroller? Jenna: That depends...how old are your kids? Do they tire easily? Will they take a stroller nap (or a stroller rest)? During our first trip, our boys were three and four and we knew that there was no way they could handle all of the walking that Disney entails without one! During our next trip, we will still get a double stroller for them (they will be a few days shy of four and six). We are already planning another trip when they are almost five and almost seven and I will still probably rent a single for them to rest in. PS - I'll be renting from Simple Strollers. Lindsey: If you have young kids, my answer is most definitely yes. We’ve used a stroller on a trip when Anniston was almost two and another where she was four. This coming December, when our next trip is, she’ll be five and we plan to use one then too. When I was 11 and my brother was five, we took a trip to Disney. It was the first trip for my brother and we didn’t bring a stroller. My poor, little mama had to carry him around a lot. His legs would just get worn out. I still remember how tired she was at the end of each day. 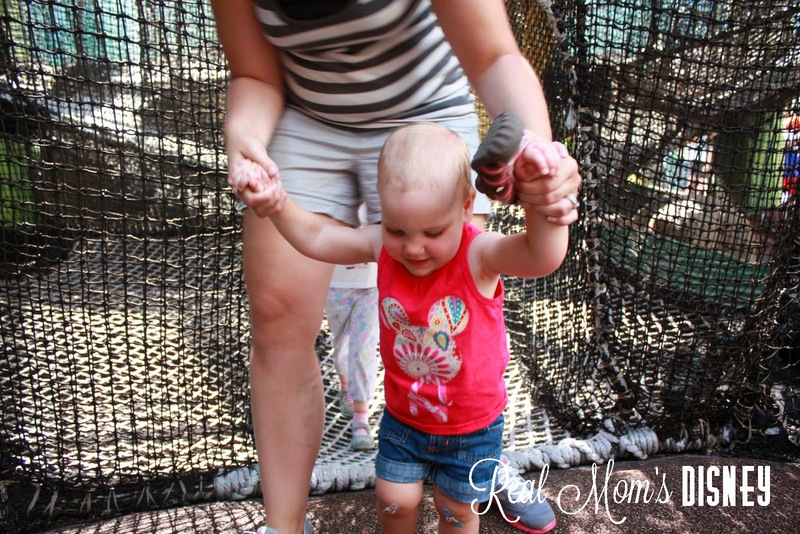 Strollers can be a lifesaver for little legs and your arms! Melissa: For our first trip, our kids were just-turned six and two and a half. We definitely needed one. Not only to contain the two year-old, but to give the older one a bit of a rest now and then. Little legs get tired! I’d say that if your kids are under five, a stroller is a must. Around five, you might be able to get away without one. It will just depend on your family’s touring style and your kids. For our next trip, they will be eight and four. Since the four year-old has boundless energy, I’m hoping we won’t need a stroller. What kind of stroller should I use? Jenna: We were flying and decided to rent a double Citi Mini. I didn’t want to take our personal stroller because I was afraid it would get stolen and that would be a huge expense for us to replace. We rented and purchased the optional stroller insurance. I would not personally recommend an umbrella stroller - I just don’t feel like they push well and it’s hard to pack things onto them. We like a sturdy stroller that folds easily, and has lots of compartments and drink holders. Lindsey: When we were planning our first trip, I did a lot of research on strollers. We don’t use one much at home and so the ones I had were big and bulky. Not what you want for Disney. I talked to a friend that goes several times a year with three kids and she recommended the Cosmo Combi. It’s relatively inexpensive (slightly more than a rental), folds up nicely, lightweight, and easy to maneuver. We used it on our last trip as well and still loved it. This year we are renting a stroller and I’ll let you know how that one works out in December! Melissa: We took the stroller we were most familiar with and used the most, which was a full-size stroller that came with our travel system. We took the big stroller for two reasons. First, in a pinch, both kids could fit in it. And second, it had a large basket underneath that would hold everything we would need with two young kids, with one in diapers. Don’t take something that’s difficult to push! A stroller with storage is a super smart idea. Since you’re already pushing a stroller, it should at least carry your stuff, too! A stroller that folds quickly and easily is a plus, too. And a canopy/sun shade is important. But what about getting on/off Disney Transportation? Jenna: I can’t speak to this point because we haven’t used Disney transport. We’re big fans of taking a rental car! Lindsey: I’m with Melissa on this one. Getting on and off of the bus was tough. We only took the bus a couple of times (we rent a car for convenience) and one of the reasons was the stroller. If you rent one from Disney, it stays at the park and you don’t have to worry about it. If you have your own, or rented one from another rental place, make sure you have a plan for getting it, the kid(s), all your stuff, and yourselves on/off the bus. Remember, the stroller must be folded up. When we used the monorail or ferry, it was much easier. She was able to stay in her stroller. Not so much of a hassle! But, like Melissa mentions, it’s a small price to pay for having the convenience of a stroller. 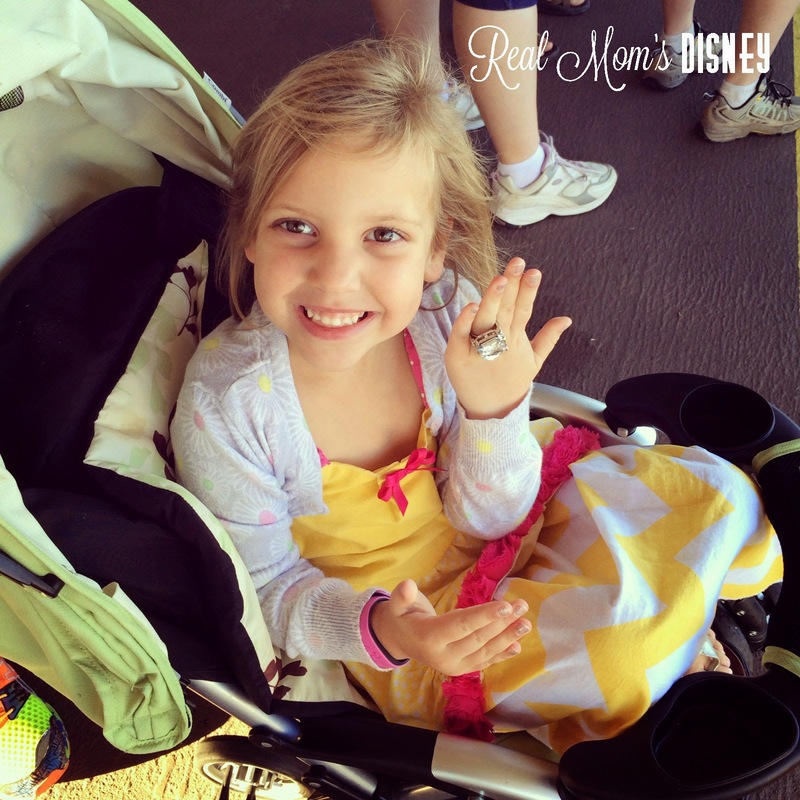 Melissa: Getting on/off Disney buses were my husband’s biggest gripe about having a stroller at Disney. Mainly because the stroller must be folded before getting on the bus, which means that everything has to come out of the stroller before it’s folded. But I will say that even though it was a pain to take the kid, backpack, and whatever else out, it was well worth it. There’s no way we could’ve managed without a stroller. Having to unload and fold before getting on the bus was a small price to pay. I’ll also say that the bus drivers were always kind and patient with the stroller transition. We always had a plan for unloading and folding, and had it down to a fine art by the end of the week. Are the stroller parking areas really safe? Jenna: Surprisingly, yes, at least in our experience. Cast members do often move strollers around so that there is plenty of room for new strollers to park, so occasionally it’s difficult to find your stroller, but in general, it’s pretty easy. The only negatives that I have ever heard are stories from people who have rented Disney strollers. I can’t speak from personal experience here but I have heard that occasionally, if the park is really busy, you’ll find your stroller missing. Lindsey: We’ve never had an issue with leaving our stroller. That being said, there were a couple of times where we would come out of a ride or a show and our stroller was moved. Not a big deal, but it did take some time to find it. However, I would never leave valuables, such as a camera, in the stroller. Always take those types of items with you. Melissa: There are always risks, but hundreds of people park their strollers all over the parks every single day. We never had an issue with anything being tampered with. I’d just say not to leave anything super important in the stroller, just in case. Cast Members do sometimes move strollers in order to save space/keep things organized, so it might not be in the exact same spot you left it in. Any additional tips for managing a stroller in the parks? Jenna: Make a hangtag! If you’re renting, most strollers come with a 4x6” sleeve for you to place a card with your name in (check with your rental company). I made two hang tags for our stroller (one was a pirate Mickey head with our last name and the other was a red and white chevron (a little brighter and easier to find) with a black Mickey head and our last name. I flipped our hangtag up over the handlebar so that whoever went to push the stroller would see it right away. If you run out of time for that, buy a big Mickey head balloon. They last for quite a long time and make spotting your stroller a breeze. Lindsey: Since I’m late to the party, Melissa and Jenna have pretty much covered it. To be honest, the previous two trips, I didn’t do anything to make our stroller identifiable. Our Combi is a pattern that isn’t common in the parks and so it is always easy to spot. 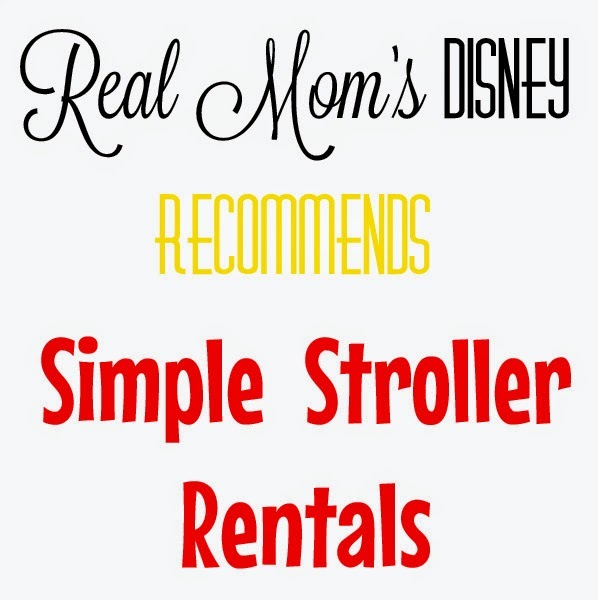 However, we are renting a stroller for our upcoming trip and I’m going to make sure to use some of these suggestions! Melissa: We labeled our stroller’s frame with Sharpie, and attached a luggage tag in the cargo area underneath. When we stayed late in the parks, we attached a glow stick to help identify it in parking areas. If your stroller is super common, adding some sort of quick identification is a good idea, even if it’s just a colorful ribbon tied to the handle. Because we were expecting frequent rain, we took a waterproof stroller cover that we bought on Amazon for about $10. I’ve heard that others have successfully used a poncho or even a plastic tablecloth. That’s what the Real Moms think of using strollers in the parks. Be looking for Jenna’s rental review in November, and Lindsey’s in December! As always, if you have any questions, feel free to comment, email, Facebook, or tweet us. We love hearing from readers! 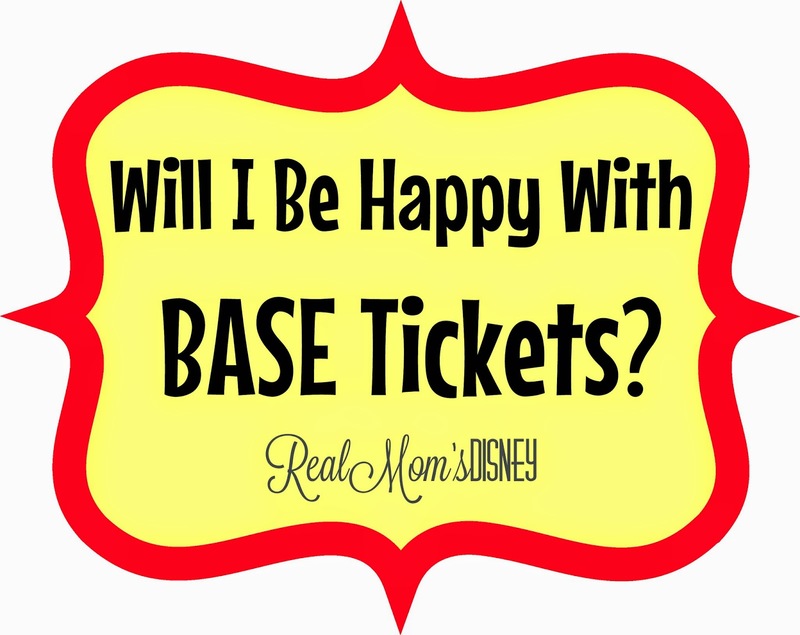 It’s time to book your Disney tickets and you’re faced with two main options: Base Tickets or Park Hoppers. What should you choose? This is one of those topics that everyone has a different opinion. You’ve heard from Lindsey about the Park Hopper option and today I’m giving you all the deets on the Base Ticket. At this time in our life, we are base ticket kind of people. Not only are they more affordable, but we find that with toddlers, it’s the option that is best suited for us. What’s the difference? With a base ticket you can enter one park per day, as many times as you’d like. So, let’s say you’re visiting the Magic Kingdom but you want to head back to the hotel for a nap. No problem. After your rest you are able to re-enter the park using the same base ticket. However, if you wanted to switch things up and head to Epcot that afternoon, you would need the park hopper. My kids were three and four when we visited in December 2013. We knew that, for us, we wouldn’t be able to do more than one park in a day - it would overwhelm them, and probably us! We were so glad that we went with base tickets for that trip. We’re headed back in November 2014 and they will be almost four (his birthday is the following week) and almost six (in January). I’ve planned out each day of our trip based around one park, which was really easy to do. Since I took the time to plan out our whole schedule, the base tickets will work great for us again. Does that mean we will always be base ticket people? In November of 2015 we will be taking another Disney trip, but this time with my family. For that trip I will likely do Park Hoppers. Pleasing a big group of people is a lot harder than making decisions for my family of four! I doubt I could plan everyone's schedules based around a single park per day and keep everyone happy. I will be planning 99% of the trip for everyone, but I’m sure they’d all appreciate the ability to do something different if they want! We’re hoping to be there during Epcot’s Food and Wine Festival which is a perfect example of why we would need Park Hopper’s for that trip. If we wanted to spend the morning at Magic Kingdom but pop over to eat our way around the festival at night, then that is the ticket we would need! Both ticket options are great; you just have to weigh the pros and cons for your family and find which one is best for you! In either case, be sure to check out our post on how to SAVE on Disney tickets! Our last trip to Disney was during the month of October. When we set our dates and realized we were going to be there on Halloween, we decided to purchase tickets to Mickey’s Not So Scary Halloween Party (MNSSHP). Halloween at Disney? Yes, please! What’s is the MNSSHP? Well, it’s a Halloween-themed, after hours Disney special event that you have to pre-buy tickets for, or if they aren’t sold out, purchase at the gate. It’s held on select evenings throughout September and October at Magic Kingdom. 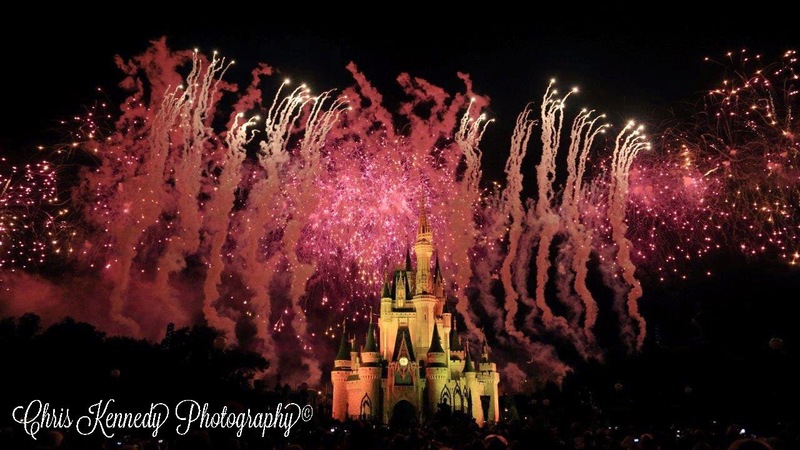 It has themed decorations, trick-or-treating, character meet and greets (some very rare characters come out on this night), the Boo-to-You Parade, and Happy Hallowishes Fireworks. And, of course, costumes are encouraged. It’s not an inexpensive experience, but for us, it was so much fun, it was worth it. The 2014 costs start at $62 + tax and go up from there. Prices depend on age and the night you choose to go. Most rides are open during the party as well. It starts at 7:00 pm, but the let people in earlier than that. Everyone who does not have a MNSSHP ticket, must leave the park by 7:00pm. When you arrive you take the tickets that were mailed to you and exchange them for an armband that allows you access to all the party has to offer! We waited and waited and waited for the tickets to open. Like a few other special Disney events, there doesn’t seem to be a set day when the tickets went on sale. I kept a watch on the DIS Boards and on the Disney website. One might say I was slightly obsessive about it. Being that we wanted to go on Halloween night, I was afraid the tickets would sell out quickly. We got our tickets, and surprisingly, the night of Halloween didn’t sell out. If I remember correctly, a few people were able to purchase tickets at the gate that night. We choose as a family not to dress up (not my choice, I might add). 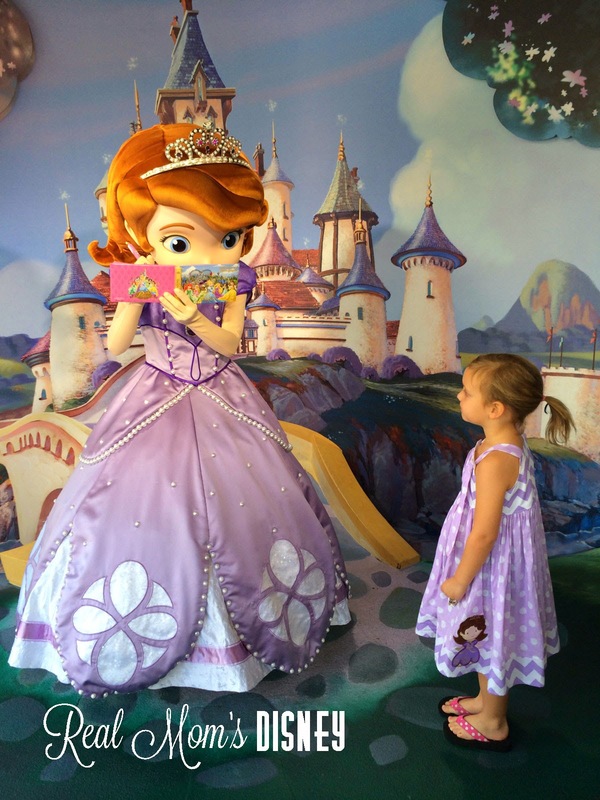 Anniston had been to the Bibbiddi Bobbiddi Boutique earlier that day and received a makeover. We also let her pick out one princess dress while we were there as a souvenir. She chose Aurora so we were graced the presence of Princess Aurora while we were partying. We didn’t have a set plan going in. We had heard that the lines for characters get very long, very quickly. We did know that unless we just happened upon a short line, characters were not going to be a priority for us. If you are interested in the character greets, check out this information from Kenny the Pirate. We did know we wanted to trick-or-treat. With three kids (we were traveling with extended family), this would be important to them. We went through several trick-or-treat lines. We didn’t wait very long, the line was always moving, and we got TONS of candy. The kids loved it. 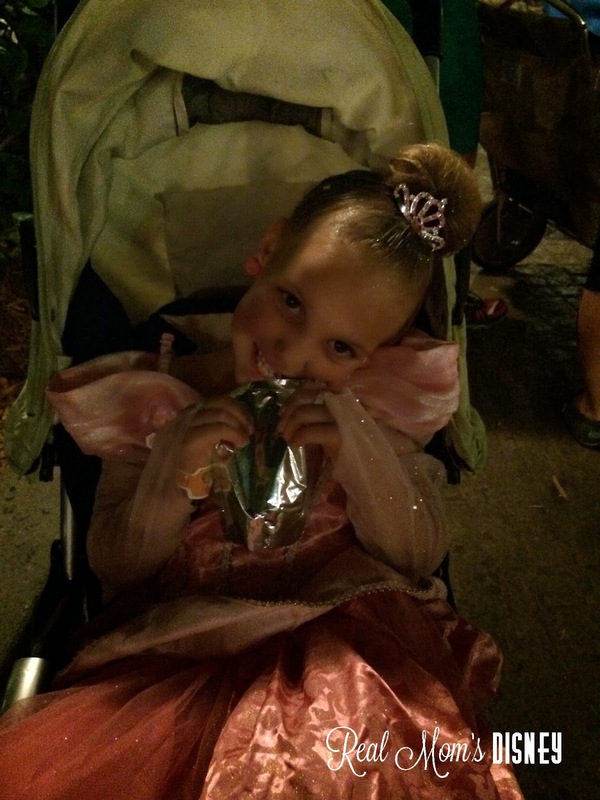 Undercover Tourist has a great post with trick-or-treating tips and tricks. We also wanted to ride rides. Since there are two performances of the Boo-to-You parade, we decided to catch the second one and ride rides during the first. We didn’t have to wait in many lines. We rode Big Thunder Mountain Railroad so many times in a row, I lost count. The Boo-to-You parade and Happy Hallowishes Fireworks show were both great. Fireworks are one of my happy things so I adored this show. This photo was taken by my brother-in-law. See? Doesn't this make you want to go? The party stays open until midnight, but since we had an early flight the next morning, we headed back to our rooms right after the fireworks show. Here is my one piece of advice, DON’T DO THAT if you are taking the Disney bus system back. Whew. We waited forever on a bus and then it was so crowded it was crazy. Either leave before the fireworks show or wait a while after. Most people with small children leave right as the show is ending, so either miss the show (not recommended, it was great!) or wait 30 minutes or an hour. I imagine that the lines for other things thin out after the show, too. All-in-all, it was a great experience. If we had planned, we probably would have accomplished more, but we had a great time as it was. For a few more great posts about MNSSHP, check out here and here. You can order your tickets from the Disney website. 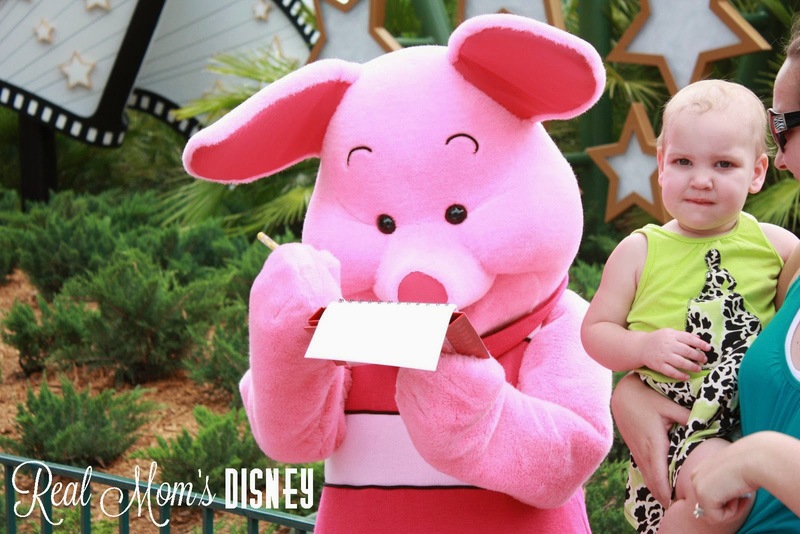 When I started planning our first trip to Disney World, I had no idea what a dining plan was. As I looked into the details, I wasn’t sure if it was something that would be beneficial for us. We are not extravagant eaters, and our kids don’t always eat well at restaurants. We didn’t plan on a lot of Table Service meals, and with multiple opinions on whether the QSDP was more cost effective than paying out of pocket, it was confusing. Fortunately, we ended up with a Free Dining promotion, and were able to experience the Quick Service Dining Plan at no extra cost. This post is about the Quick Service Dining Plan. 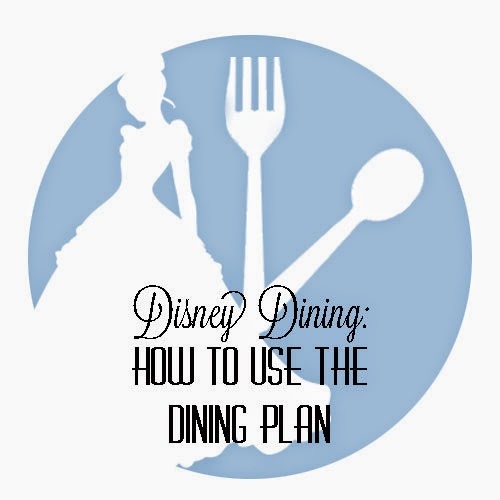 If you’d like more information on the Disney Dining Plan, check out Lindsey’s post here. What is the Quick Service Dining Plan? 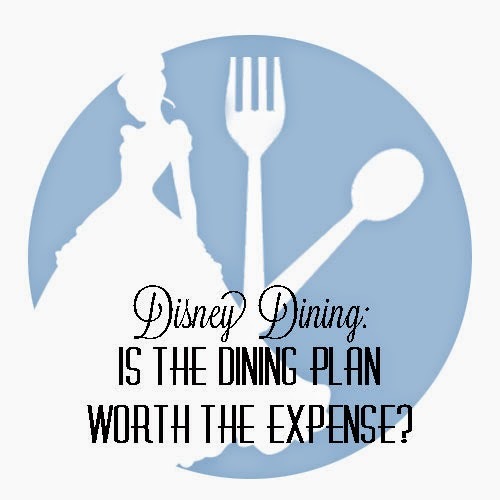 The Disney World website gives a great detailed explanation of the dining plans offered. The general idea of a QSDP is that you pre-pay for 2 Quick Service meals and 1 Snack per person (age 3 and over), per night of your stay. It also includes a mug that can be refilled at the resort’s food court/drink stations (not in the parks). Quick Service restaurants and snack locations can be found at resorts, in parks, and there are even a few at Downtown Disney. Pros: Since the QSDP is pre-paid, you don’t have to worry about food expenses for the majority of your meals at the parks/resorts. Each meal (lunch or dinner) comes with an entrée, drink, and dessert. (We don’t normally order dessert at every meal!) Breakfast includes an entrée and drink. Portion sizes were generous, and we were never lacking for food. Reservations are not required, so you can eat whenever it happens to be convenient. You have the flexibility to utilize credits however you choose – you are not limited to using a certain allotment per day. You have until midnight on your check-out day to utilize all your dining credits, so if you check out of the resort and spend the day in the park, you will still be able to use remaining dining credits. Cons: If you want to have any Table Service meals (including Character meals), they are not included in this plan, so you would have to pay out of pocket. If you have a child in your party (ages 3-9), they will be required to order off the kids’ menu whenever available. (This might only be a problem if you have a really big eater.) Quick Service restaurants do not accept reservations, so lines can be long and tables scarce during peak times. You are not allowed to “share” your Dining Plan credits with someone not on your reservation. Overall, the QSDP was easy to use, and it was nice not to have to worry about the budget when we ordered our meals. Would we pay for it? I don’t know. How will I decide? I’m glad you asked. Before our next trip, I will use this calculator at distripplanner.com. In fact, I have already played with it, just to see if what I’m thinking is anywhere close to reality. Brian has put in the work to calculate all kinds of factors that will help determine what might be the most cost effective for you. With completely customizable dates, party size, and restaurant choices for every meal, you can really get a great idea of what it would cost out of pocket vs. with a dining plan. Go check it out! 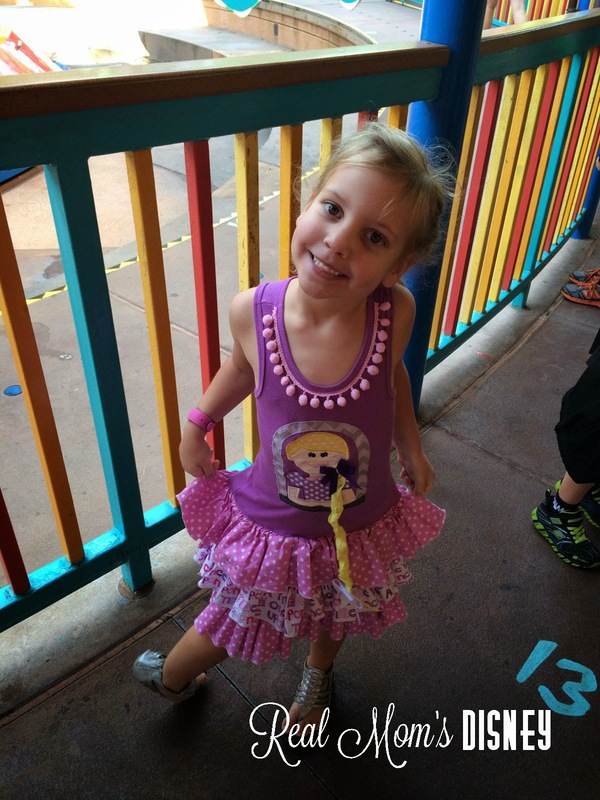 For more on the Disney Dining Plan (DDP), check out Lindsey’s recent posts here and here. Go here for more on the QSDP and how it worked for us. Have you used a dining plan before? What did you think? 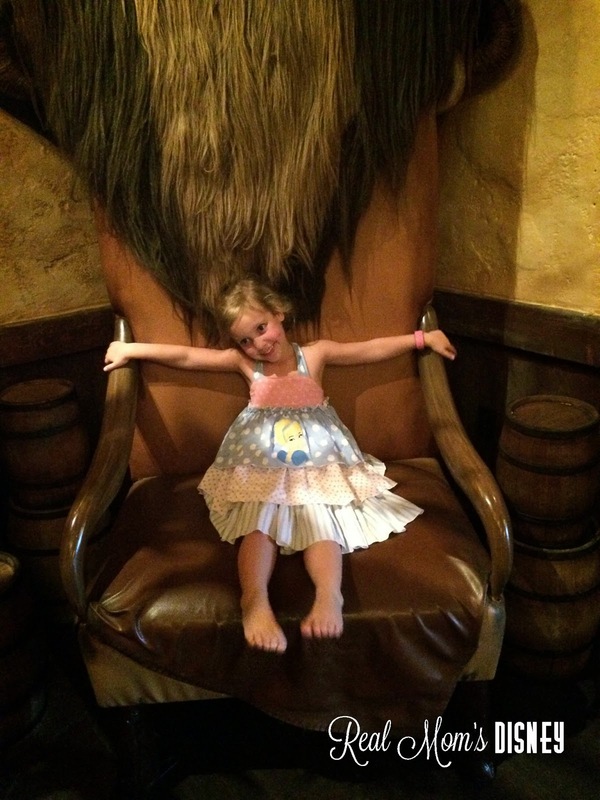 Considering the Disney Dining Plan (DDP) or going to Disney during the free dining offer? I’m sure you have a lot of questions. I know I did the first time we decided to use the plan. This post will cover the standard dining plan. I haven’t used the Quick Service Dining Plan or the Signature Dining Plan. First off, how does the dining plan work? For each night you stay, you get one snack, one quick-service meal, and one table-service meal to be used during your stay. Each person on the dining plan is also eligible to receive one resort-refillable drink mug. What is considered a snack, a quick-service, and table-service meal? A snack can be a multitude of different things. It can range from a coffee at Starbucks on Main Street to a cinnamon roll at Gaston’s Tavern to a Mickey Ice Cream bar. It’s typically a single-serving item and is marked on the menu with a dining plan snack symbol in most cases. A quick-service meal is what could be considered a fast food order. You order at the counter and then take your food to a seat. On the DDP, a quick-service meal includes: 1 entrée, 1 dessert (lunch and dinner only), and a single-servicing, non-alcoholic beverage. A table service meal is a sit-down restaurant. A table-service meal consists of one entrée, one dessert, and one single-serving, non-alcoholic beverage OR one full buffet. Do you have to use one snack, one quick-service meal, and one table-service meal each day? Absolutely not. You can mix and match these as you would like. Do you want to have a table-service for lunch and dinner? You can do that. Just make sure you plan your meals to where you are taking advantage of all the dining plan credits. If you get down to your last day and you don’t have any meals left, you’ll be responsible for paying for your next meals out of your pocket. How do I keep track of how many DDP credits I have left? Check the bottom or your receipts. It shows you how many credits are left. Keep in mind, it shows the total number of credits for your whole party. Not just you. Don’t let that confuse you. Are all table-service meals one credit? Not necessarily. If you are dining at a signature restaurant, it may take two table-service credits. You need to check these when you are making your dining reservations. For example: Cinderella’s Royal Table takes two table-service credits per person while Chef Mickey’s only takes one table-service credit per person. How does my server know to use my DDP credits? I always tell the server when we are ordering, a lot of the time they’ll also ask. When the check comes, they’ll scan your Magic Band, you’ll add the tip, and sign the receipt. And that’s it! Super simple. Tips and gratuity are NOT included in the DDP. You need to either carry cash for these or your can use your Magic Band to charge them to your room. At the end of the trip, you’ll receive an itemized statement that shows what charges will be charged to the credit card associated with your account. How do I book the DDP? You can book it either online or by calling: (407) 939-1936. In order to get the DDP, you have to book a Magic Your Way package which includes your resort stay and your park tickets. Want more information about whether or not the DDP is worth the expense? 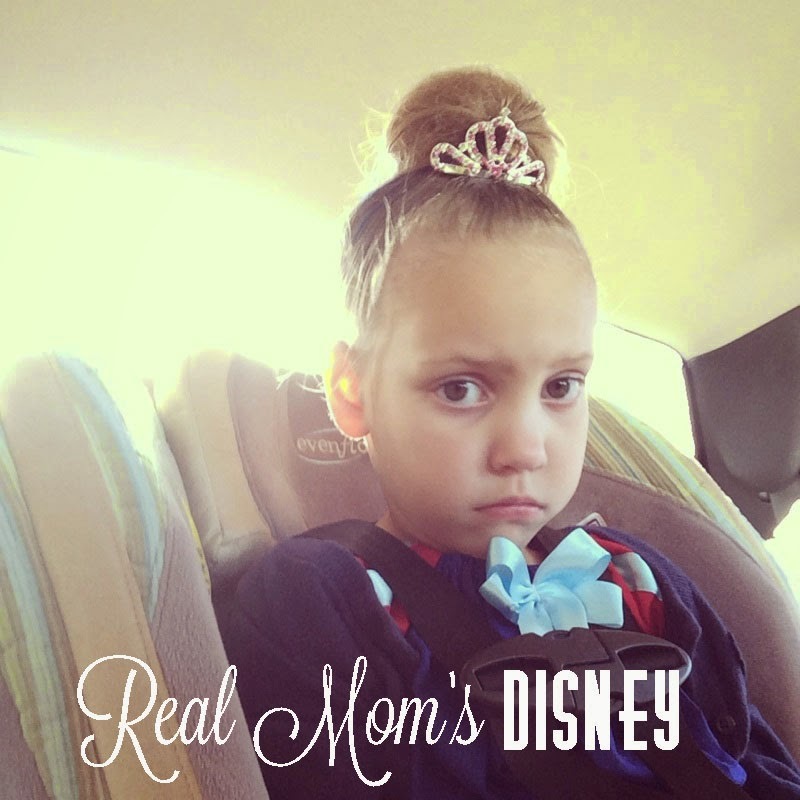 Check out this post by Real Mom’s Disney. If you have any questions, please leave a comment or email us at realmomsdisney@gmail.com. When we were getting ready to head to Disney World our first time, I was nervous about packing. We are a road trip family - I pack for trips all the time. I shouldn’t have been worried a bit. But this was Disney. The place “where dreams really do come true,” as Caedmon says. I could not mess this up. So I trolled message boards, downloaded packing lists, went over my own packing lists and methods, and decided that we weren’t going to a third world country – we could still find whatever it was we needed or forgot, and finally relaxed. A tiny bit. Could we have scaled back a little? Sure. But since this was our first trip (and it all fit), I didn’t. My “Disney pile” started a couple of months before we left, and grew until the time we actually packed our suitcases. There were some things I purchased just for our trip, and I tried to spread the cost out and include in my regular budget. Other items were “extras” of things I already had that I wanted to be sure to take. Because we had a 2 ½ and 6 year-old, we probably had a few extras that wouldn’t apply to everyone else. But what did I take to Disney that I don’t normally pack for other trips? Ponchos. I hate getting wet when I’m not planning to. It’s a weird thing I have. So I bought a bunch of ponchos in the $1 Spot at Target. They can also be found in the camping section at Target & Walmart for about $1.50 each. I grabbed quite a few, since I didn’t want to have to worry about drying/keeping them. The guys used them on Kali River Rapids, but that was all we needed them for, thankfully. Moleskin. Yeah, it sounds creepy. It’s really not. Think of it like a giant, cut-to-size cushion for your foot. When someone got a blister, this is what we needed. A band-aid will not cut it with that much walking. Moleskin can be found in the pharmacy section of the store, usually near the foot products. Scissors. You have to have something to cut the Moleskin. They also came in handy several times. Toy packaging is just as hard to open at Disney as it is at home. Powder and/or pre-treat products for chafing. Disney = a lot of walking. A lot. If you or someone in your family ever has an issue with chafing, it will be worse at Disney. Be prepared! Clorox Wipes. I am not a germophobe, but I’m married to one. And I don’t want to imply that our room was dirty, because it was not. I’ve heard too many stories about people being stuck in their hotel, sick, while on vacation. There’s no way to know if that happened to someone who recently stayed in our room. So, when we stay in any hotel, the first thing I do is to wipe down every surface I can with germ-killing wipes. Door knobs, light switches, counter tops, drawer pulls, phone, alarm clock, (most definitely) the remote control, and bathroom fixtures. Seriously…every surface I can. Hand sanitizer. We had a pump bottle that I kept in the room, and used it to refill the small bottles we took into the parks with us during the day. With little kids who touched all the things, Chris was constantly pulling the “hand juice” out. Liquid hand soap. We are a hand-washing family, if you hadn’t figured that out yet. In hotels, Disney resorts included, they only offer bar soap for hand washing. Ever try to let a 2 year-old wash their hands with bar soap? Yeah. So we took some liquid soap for our bathroom. Dish soap and sponge. Honor still regularly used a sippy cup, and we had the QSDP, which came with refillable mugs. The drink stations in the food courts have a “mug wash station,” but it’s just a sink where you can rinse your cup, no soap. I wanted Honor’s sippy cup to get a thorough washing, and if I was going to be drinking out of a cup multiple times a day/multiple days, I wanted it clean. I just put some dish soap into a travel-size shampoo container and labeled it, and tossed the sponge in the trash at the end of the week. Bendy straws. You know what these are, right? They’re straws that bend…thus the scientific name. If you have young kids who struggle with straws that are as long as their little arms and have wondered why every restaurant doesn’t get on the bendy straw wagon with Chick-fil-A, you might want to consider taking some of your own. I put some into a travel toothbrush holder (perfect fit! ), and we carried them in our backpack in the parks. It made drinking out of a kids cup much easier for my young ones. I still carry bendy straws in the car! Take n’ Toss utensils. Using full-size utensils was a challenge for Honor, so I took some of the plastic toddler-size utensils, and kept them in a baggie in our park backpack. That made it much easier for her to eat yogurt or applesauce (common sides on a kids’ meal). I actually wash and re-use these (and I had dish soap! ), but if they were lost or thrown away, it wasn’t a big deal. Disposable bibs and placemats. Honor is not a neat eater. So, I saved myself some time and sanity and put together a bunch of “meal bags.” I took a sandwich baggie and put a disposable bib, disposable placemat, and an individually wrapped wet wipe inside. I made enough for every meal, plus a few extras. We didn’t end up needing them for every meal, but they were awesome to have. When we finished the meal, we could throw most of it away, and I still had a baggie that I could put those used Take n’ Toss utensils in until we got back to the resort. I loved these so much, I now keep some in the car for when we eat out at home. Downy Wrinkle Releaser. Because nobody wants to iron on vacation. Who am I kidding? Nobody ever wants to iron. Laundry detergent/softener and quarters. I wasn’t sure if we were going to need to do laundry, but I wanted to be prepared. Each Disney resort has guest laundry facilities. You can purchase needed items there, but at a premium price, of course. And my people have sensitive skin. I couldn’t take the risk of breaking out in hives on vacation for the sake of clean laundry. I made a few baggies of powdered laundry detergent and stuffed some dryer sheets in a baggie. For the quarters, I got a roll of quarters at the bank. But I didn’t want them to get loose if the paper wrapper was compromised, so I put them inside a Mini M&Ms tube. Perfect fit. We did a load of laundry, and I was really glad I had the supplies. Power strip. We wanted to be sure we were able to charge everything we needed to charge/plug in at once. I took a power strip just in case we didn’t have access to enough plug-ins. Over-the-door shoe holder. This was my favorite “ah ha!” thing I packed. I’d never used one of these for this purpose before. But I’d read on some message boards that there was little counter space in our resort’s bathrooms, and let’s face it…we had a lot of stuff. My original plan was to hang it over the bathroom door (as some others had), but it didn’t work with our bathroom door. So I hung it over the curtain rod in the closet, which was right next to our bathroom counter/sink. We didn’t need the closet rod space, and were still able to use the area behind it for storage. It was SO nice to have all of our toiletries, hair accessories, medicines, etc. off the counter, but still with easy, organized access. Empty, it folds almost completely flat. I put it in the suitcase on top of our clothes, and it took up almost zero space. I will definitely do this again. ID Bracelets. When we go to crowded places, I use these ID bracelets for the kids. Disney was no exception. Safety pins. You never know when these little things might come in handy. Tummy & “feel better” meds. With all the food, all the walking, and all the off-scheduleness vacation brings, I always bring medicine to soothe big and little tummies, and for general maladies. Most of what I took was essential oils and a few OTC meds. Extra surprises & Disney-fied specialness. More on this in a later post – it’s a topic all its own! Whew! And that doesn’t include our clothes! What do you pack for your Disney trip? One of the first questions that will arise when you begin thinking about a Disney vacation is where to stay! As soon as you start researching, you’ll find that Disney has a collection of their own hotels. Their hotels are broken down by category: Deluxe, Moderate and Value, with Deluxe hotels being the most expensive, highly themed and convenient to the parks, and the Value resorts being a bit farther away and less decorated. For your reference, here is a list of the resorts by category. To see a specific resort, just click on it - I’ve linked them all to their Disney website pages for you. There are also the Disney Swan and Dolphin hotels, which are not totally owned by Disney but do receive Disney benefits, like transportation to the parks. If you begin looking at options close to the parks that aren’t a Disney hotel, there are still plenty to choose from! One of the most well liked resorts seems to be Bonnet Creek. While driving into the park on our last trip I spotted Bonnet Creek and it’s very close to the entrance. Our condo resort was only about 10 minutes from Magic Kingdom and Bonnet Creek was even closer. There are also several mainstream hotels in the area - if you have points at one of them, cashing those in for your Disney trip could equal a great savings for you! When we went on our first family vacation to Disney, my husband, who had never been to any Disney theme park or resort could not understand why I would be willing to pay a little more for a much smaller room (our three bedroom condo was significantly cheaper than a standard room at the Polynesian). We ended up at the condo. 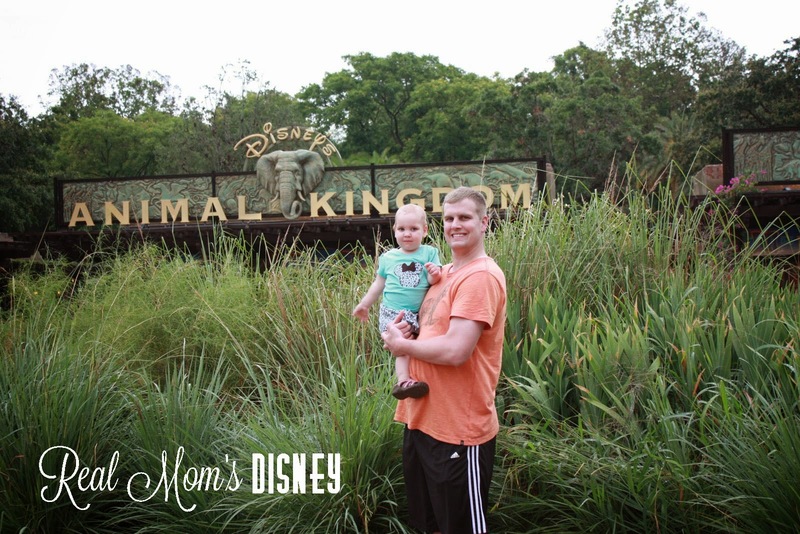 We are headed back in a few months (Nov 2014) and we will be staying at Animal Kingdom Lodge (he now gets why I only want to stay onsite!). When I was younger we stayed at the Contemporary Resort, and for our trip in 2015, we will be staying at Bay Lake Tower. Themed rooms (I wish I could elaborate more on this, but that’s another post. 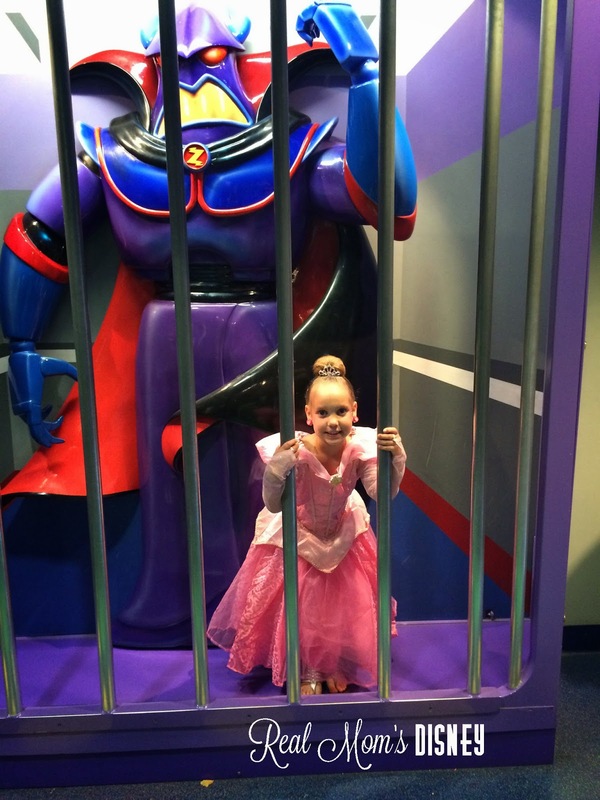 For now, check out the above links to see how awesome Disney rooms are). Possibly less helpful employees (we had this experience, personally. Disney cast members have always gone above and beyond in our experience, while the condo we stayed at did not). Cost! It can definitely be more expensive, especially if they aren’t offering the free dining plan or 30% off during your dates. I do want to point out that some credit card points will allow you to cash in for stays at Disney resorts. Check with your card company for more information. I don’t want to over-inject my personal thoughts and opinions into this article, but I do want to talk for a minute about the “feeling” of staying onsite. If you have never been to Disney it is hard to explain and to justify the cost of their hotels. Are they all brand new with sinks made of gold? Absolutely not. In fact, some people would say that a few of their hotels need a bit of a facelift! However, Disney has impeccable attention to detail. Everywhere you look are hidden Mickey’s. They carry their themes all the way through each guest room, the hallways, the lobby and just about everywhere else you’ll be. You really feel like you haven’t left the park. It’s unlike any other vacation I’ve ever gone on, where you might leave and go do something really fun, but then come back to a regular old hotel and feel that adrenaline rush fade away. In my experience, you stay pumped up and excited the whole time you’re there because you aren’t truly leaving! Whatever you decide, I hope that this list will aide you in the decision making process! Leave me a comment and let me know your experiences with Disney and off-site hotels! I’d love to hear from you! Looking for a fun way to dress up your Magic Bands? Check out My Fantasy Bands, a new product that might just be what you're looking for. Look at this adorable Princess Collection! Headed to Disney World? You're in luck! A brand new store has opened at Downtown Disney called the Marketplace Co-Op. It will offer SIX boutiques within its walls, each with its own unique offerings. Zoey and Pickles will feature girls clothing, D-Tech On Demand will let you design, customize and make your own tech accessories, The Trophy Room has vintage sports apparel and collectibles, Disney Centerpiece features everything you could want for your home, Beautifully Disney has makeup and more and finally, Cherry Tree Lane has accessories galore, including the coveted Dooney and Bourke for Disney collection. Are you headed to Frozen Summer Fun at Disney's Hollywood Studios? Check out all these special Frozen snacks! I would definitely have to have an Olaf cupcake. Disney Dining: Is the Dining Plan worth the expense? It seems like everywhere you read people are debating about whether to get the dining plan or not. I’ve talked to people on all sides of the fence. Especially when we were planning our first trip. 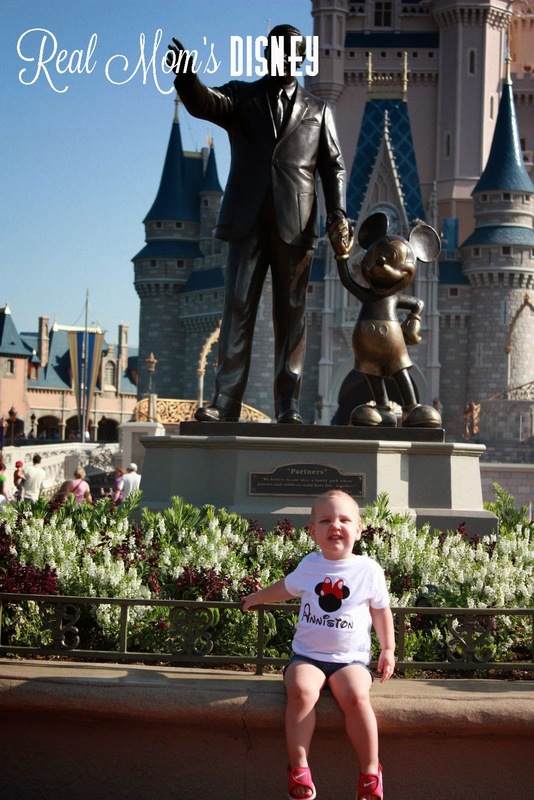 When it came time to plan our first Disney trip, I knew two things for sure. One, I would fly. I had never flown before; we drove everywhere when I was growing up. If I can avoid it, I’ll never make that long drive again. 20 to 22 hours in a car, especially with a toddler, no thank you. I’d almost rather stand up and give a speech in front of a room full of people. That says a lot. Secondly, I would eat at Disney restaurants. Eating is one of my favorite parts of vacation. I like eating at favorite places and I love trying new places. We had already worked out our budget and we knew what we had to spend. Luckily, that first trip, we ended up getting a pretty great discount on a moderate resort. Because of the great discount, we were able to add the dining plan and still save money off our original total. We used the Magic Your Way Package plus Dining. Which means we got a snack, a quick-service meal, and a casual dining meal per person per night. 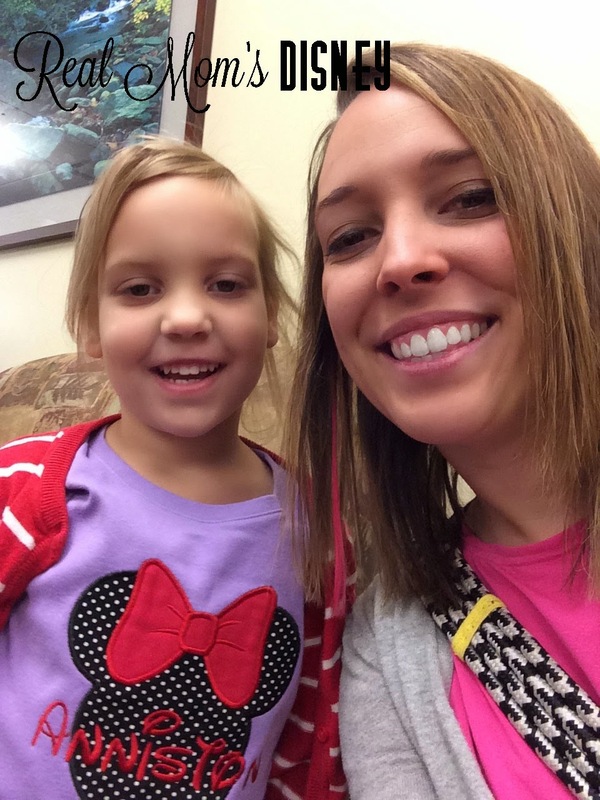 Anniston was under the age limit at that time so she shared with us, which is no extra cost. I immediately got online and made my dining reservations. We learned a lot about the dining plan that first trip. Things such as the best ways to use your snack credits, timing of meals, etc. You know what else we discovered about the dining plan? It was great. It worked so well for us. We had a couple of breakfasts scheduled. On the days where we used our casual service meal for breakfast, we’d use the snack for lunch and the quick-service meal for supper. Never once were we ever hungry. We also kept things with us such as granola bars and fruit snacks for Anniston. Let’s face it; there are times when a toddler needs a snack for a moment of entertainment. On the days where our casual service meal wasn't at breakfast, we’d use the snack for breakfast and then our other two meals for lunch and supper. We ate at a lot of great restaurants, a couple that we’ll eat at every time, and a couple that we won’t go back to. When it came time to book our 2013 trip, we knew for certain that we wanted to get a dining plan. We were just lucky that they ended up offering free dining for the week we would be there. That’s even better! We used the same strategy for laying out our meals as the 2011 trip. So, why did it work so well for us? To us, it was basically pre-paying our food. We didn’t have to worry about extra money while we were there (except tips and we charged that on our then Key to the World card, now Magic Band) for food. Also, if we were paying out of pocket for food, knowing we were on a budget, I wouldn't have gotten to try as many restaurants as we did. I also wouldn't have ordered some of the meals that I got to eat due to the expense. I also would have never gotten to try to the desserts, which, wow. Does it really save you money? Eh. It’s debatable. Like I said before, if I were paying out of pocket I wouldn't order some of the things I did and I definitely wouldn't have gotten dessert with every meal. If you would typically order expensive and get dessert, then, yes, it saves you money. If you would normally be more frugal, it doesn't necessarily save money. You can use this calculator to see if it will save you money or not. If food isn't an important part of the trip, the dining plan may not be for you. I’m a hungry girl. I like to eat. Plus the restaurants are so well-themed that it just enhances the experience. It basically boils down to your preferences, your budget, and the amount of time you have. If you are there for a short trip, you may not want to spend the extra hour or two sitting at a restaurant instead of spending time on rides or in shows. So is the Dining Plan worth the expense? For us, YES! If the idea of your toddler skipping their afternoon nap strikes fear into your heart, you are not alone. And yes, you can go to Disney and have loads of fun! How do I know? Because we did it! I know. Planning nap time into the day doesn’t sound like a lot of fun. But believe me, it was worth it, and we benefited from a nap as much as our toddler did. Once we have an older kid who thinks naps are the most un-cool thing ever, one adult will hang with the napper, and the other will take the older kid to explore the resort or enjoy the pool. We can all have some downtime before heading out for dinner or back to the park to enjoy the evening. About now, you’re probably thinking of several families you know who took their toddlers to Disney, didn’t take naps, and they managed just fine. And it’s quite possible, especially if your toddler can manage a full day and late evening without a meltdown or they will engage in the elusive stroller nap. Mine will not. And yes, I know families who decided that naps were not a priority. If that works for you, that’s great. It would not (did not) work for us. Our late night of fireworks and staying until park close was much more enjoyable because we had all rested. Sure, the kids were up way past their bedtime, but with a decent nap under their belt, they handled it quite well and we all had fun. Out of our five park days, the two days we made a calculated risk to stay in the park and not go back for naps ended with cutting our evenings short. Don’t waste the morning. As painful as it may seem, we had to get up and get going. Most families with toddlers are up decently early anyway. (My kids don’t sleep much longer than the sun.) We easily made it to the park in time for rope drop (usually 9 a.m., depending on the season) so we could make the most of the morning. Breakfast is also a great time to schedule a character meal, especially an in-park reservation before the park opens. When you’re done with breakfast, you’re already in the park! We went to Chef Mickey's last time, but an in-park breakfast reservation is on our list for next time. Prioritize the touring plan. We knew the places we needed to hit first, before the lines got too long. We were sure to ride the important rides first. I tried to plan our day efficiently so we could concentrate on one area in the morning and another in the late afternoon/evening when we went back to the park. I’ll share more about our touring plan in another post. Just leave. It’s really easy to get caught up in the park, doing “just one more thing.” We had to know about how long it took to get back to the resort so we would know what time we needed to leave to be back for nap time. We were sure to set an alarm on our phone or watch the time so we had plenty of time to head back to the front of the park. No, really. Take a nap. Once we got back to our resort, it was tempting to just plop on the bed and let the toddler watch cartoons. If that’s what you have planned, that’s fine. But we really needed our people to nap, so we made it happen. We cleaned ourselves up a bit so we all felt refreshed (it can get sweaty in the parks), closed the curtains, turned off the lights (and the TV), and put our little people to bed. That meant we had to lie down too. It was not the worst thing in the world, I promise. We were sure to set an alarm so we didn't miss our evening plans. Get up and go have fun! After we were rested and refreshed, we enjoyed dinner and evening in the park with our toddler much more. We would not have made it through five very full park days without naps. The best part (besides not having frequent toddler meltdowns) was that it forced us to rest as well. By the end of the week, we were tired, but not completely exhausted. We made it home with full hearts from our awesome week, but without feeling like we needed another vacation to recover. When we go again next year, our kids will be eight and four. We will still probably have a mandatory afternoon rest time, at least on the days we plan to stay for fireworks/park closing. How do you do Disney naptime? Every once in awhile, the Real Moms enjoy doing a group discussion post. 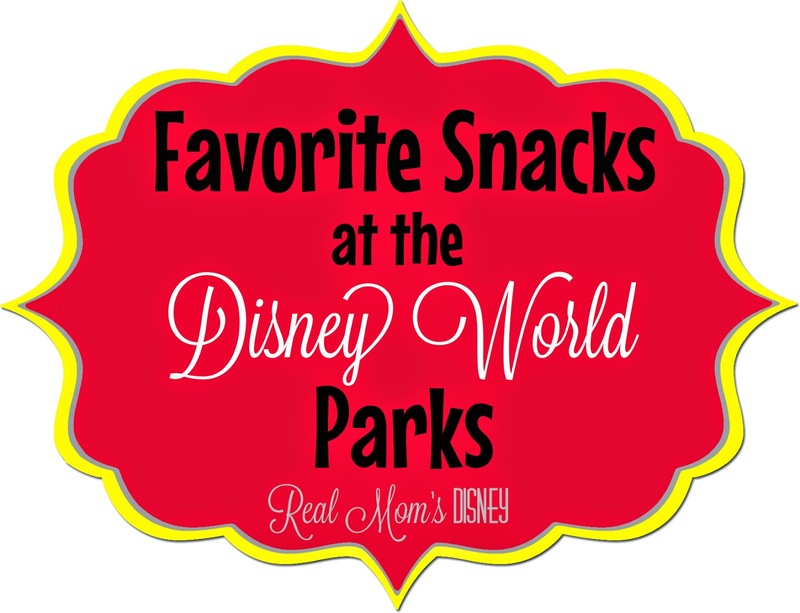 Today we’re discussing our favorite snacks at each Disney World park and Downtown Disney! Great tip: If using a dining plan, keep these places in mind for your snack credits! Melissa: I had all kinds of places lined out for our snacks, but we really didn’t eat a lot of snacks while we were in the parks. But I did love the Dole Whip. I shared one with Honor, and kind of wished I’d gotten my own! I chose to get the orange flavor, and the Cast Member looked at me like I was crazy for not getting pineapple. But I had a hankering for orange that day. And it was delicious. I had really planned on hitting the Starbucks on Main Street, but it was packed and I didn’t want to wait. Lindsey: Oh gosh. While I loved the Dole whip, the cinnamon rolls at Gaston’s Tavern were amazing. We used some of our snack credits on our dining plan to keep them in the room and heat them up for breakfast. 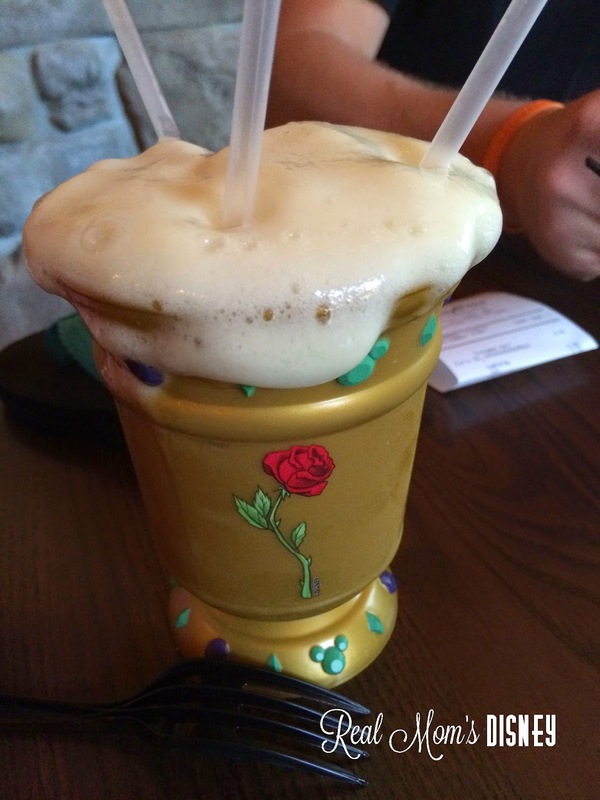 We also tried LeFou’s Brew. I wouldn't say it was my favorite drink, but it’s something to try at least once! We also LOVE the smoothies at Auntie Gravity’s Galactic Goodies in Tomorrowland. They are another great option for breakfast in the park. The size of the cinnamon roll compared to Anniston's hand! Jenna: Dole whip, hands down! I LOVE pineapple, so this is actually my favorite snack, period. I wish they offered it at every park! PS - It’s available at Aloha Isle. 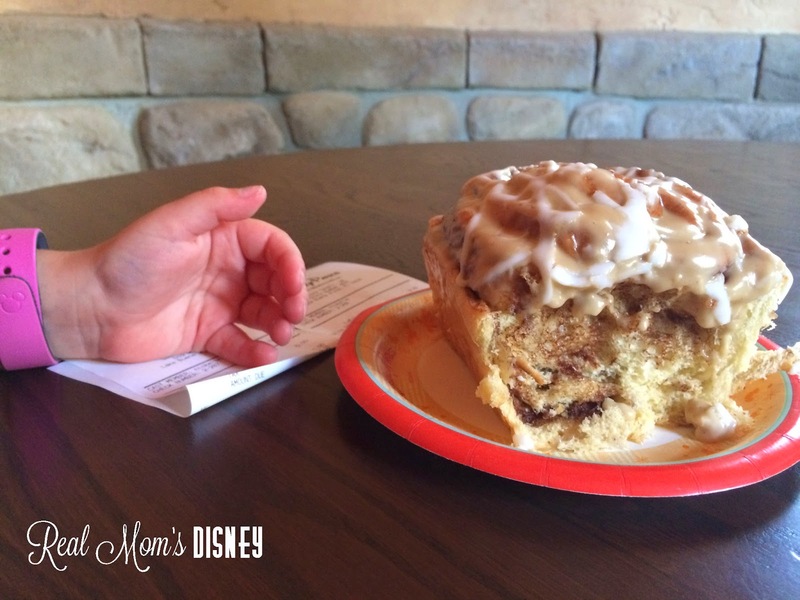 Next trip, I plan on tasting a cinnamon roll from Gaston’s Tavern. Melissa: I’m not sure we got any snacks here! We only spent half a day at AK on our trip. We ate lunch at Flame Tree Barbecue, and it was very good. Lindsey: We used our snack credits at this park to get breakfast at Kusafiri Coffee Shop & Bakery. Anniston and I got different kinds of danishes and they were very good. That’s the only snack we got at AK. Jenna: Can you believe I didn’t have any snacks at AK? I’ve read that the best use of a snack credit here is the fried rice from Yak and Yeti. It looks delish! Melissa: We skipped Epcot last time. But I hear there are lots of great snacks, especially during the Food & Wine Festival! Lindsey: I love food at Epcot. However, I don’t think I’ve eaten many snacks here. We did stop at the Starbucks while we were there, again, for breakfast. I got a decaf coffee (I know, I know) and the rest of my people got pastries or breads. We all enjoyed it very much and were able to use our snack credits! Jenna: The crepes in France. We’re big crepe fans! We had the chocolate stuffed crepe topped with strawberries. Melissa: I probably shouldn't admit this, so don’t judge me. We ate lunch at Pizza Planet, and I got a Cappuccino Cupcake with my meal (it’s also a snack credit). I had plans to take a nice little picture, eat half of it, and share the rest with someone else in the family. And then I inhaled every last crumb. It was amazing. Lindsey: I’m with Melissa on this one. She warned me about that cupcake before we went and I couldn't wait to try. It was definitely my favorite snack at this park! Jenna: The HUGE cupcakes at Starring Rolls Cafe. These things are giant! We got two and split them between the four of us. The Butterfinger was out of this world! Melissa: We had a fun experience at Goofy’s Candy Company. The kids loved checking out all the fun items, and their handmade stuff looked delicious. We ended up with a few different snacks - an iced cookie and (enormous) Mickey shaped Rice Krispie treat. Everything was yummy. And I’m with Jenna on the ice cream shoppe, too! Lindsey: We didn't eat a snack on our last trip there. However, our first trip we did and I’m with Jenna on this one. You can’t beat ice cream shoppe! It was so yummy! Next time we go, and I know this isn’t in Downtown Disney, I want to try the Beaches & Cream Soda Shop at Disney’s Beach Club Resort. I’ve heard it’s amazing! Jenna: The Ghirardelli Ice Cream Shoppe...ohmyword. You can’t use your snack credits here, but it’s worth the trip anyway. This was a realllllly close second to the Dole Whip for my all time favorite snack. We got a salted caramel sundae. So, SO, SOOO good! 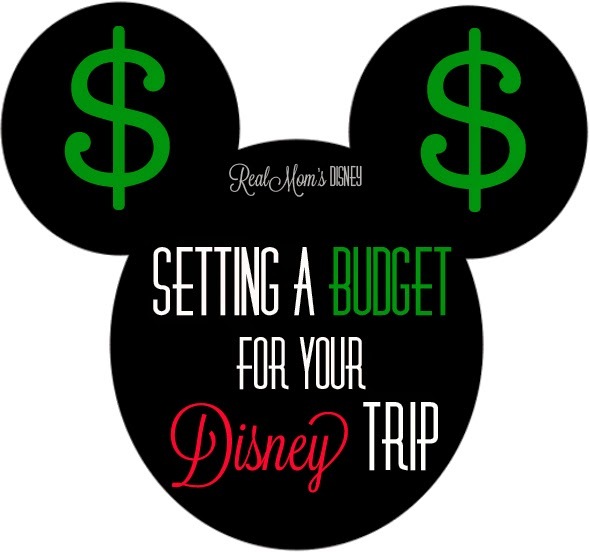 One of the posts you will see written from all of our different viewpoints is this one: how we budget our Disney trips. For us, it’s a little different each time, mostly dependent on how much time we have to plan. I planned our first trip in less than three months, but I had seven months to plan our second trip which makes a big difference. The first thing I like to do is examine our credit card rewards. You’ll be seeing some posts in the future from us about this topic. Everyone has different feelings towards credit cards but my philosophy is that if you can earn great rewards from them and pay them off each month before accruing interest, then it’s worth it. Once I’ve analyzed what I can get for free, which is usually flights or a certain dollar amount towards my hotel stay, I take a look at Disney Worlds website and see what they are offering. Is the free dining plan available for my timeframe? What about the the kids stay and play free offer? Or a hotel room only discount? You can see all of this by going to the special offers section. Next, I take a look at how many days we will be in the park. I’ve already written a post about saving money on your tickets so take a look at that and weigh your options. We have small children so we usually plan a break day away from the parks during the middle of our trip. Last time, we went to the beach. This time we will be hitting up the great outlets that are very close by and taking a tour of all the Disney hotels so we know where we want to stay next. My favorite way to keep my Disney money is in an envelope in our safe. I’ve labeled it “DW Fund” and every time I add to it, I write the new total on the back. So what goes into this envelope? Any extra money I might get. Recently we overpaid on our car insurance and got a refund of $63. I cashed that check and it went straight into the envelope. I sold a bunch of baby gear and all of that money went into the envelope as well. Basically, any money that we get outside of the normal paycheck money goes into my envelope. Since our first trip was planned on very short notice, we ended up using credit card points to score a free hotel room and flying Allegiant Air because they were offering a great deal. I purchased my park (base) tickets through AAA. Another great place to look for tickets, especially if you don't have a AAA account is Undercover Tourist. I rented our car through Priceline for less than $200 (we couldn’t take the Magical Express because Allegiant only flies into Sanford). We also rented a stroller. That trip ended up costing just under $2,000. For our upcoming trip, I’ve been able to plan ahead a little better. We’re staying at a deluxe resort but we are getting free dining! I figured up the cost of our table service credit meals alone and it’s nearly $1,000, but thanks to free dining we won’t be paying that. We also think we will have enough miles to fly for free. Because we’re taking part in the free dining package, our tickets are included so I can’t save additionally on those but I do have some Disney gift cards from Disney Movie Rewards and from my Disney Visa Card that I can apply to our trip (totaling $420). We will again be renting a car and a stroller. Don't be afraid to get creative! Another great way that we will be saving on this trip is by using our credit card thank you points towards the balance of our trip! Our points equate to a dollar amount that we can apply to our bill. We don't have enough to pay for our package (hotel, tickets, free dining) but we do have enough to pay for about 1/2 of it! My best advice is to draw up multiple plans. Use those plans to figure out what things are the MOST important to you (type of resort? drive or fly?). From there you will have a good idea of how much you need to save. While planning our second trip I actually reserved two rooms; one at a Value Resort (All Star Sports) as well as our reservation at Animal Kingdom Lodge. As we saved up and it became apparent that we would be able to afford the AK Lodge, I cancelled the reservation at All Star Sports so that someone else could reserve that room and take part in the free dining. We would have saved quite a bit by staying at the All Star Sports resort, but decided that since we could afford it, we’d stay at the AKL. Our kids will FLIP OUT over the view of the animals from our room! 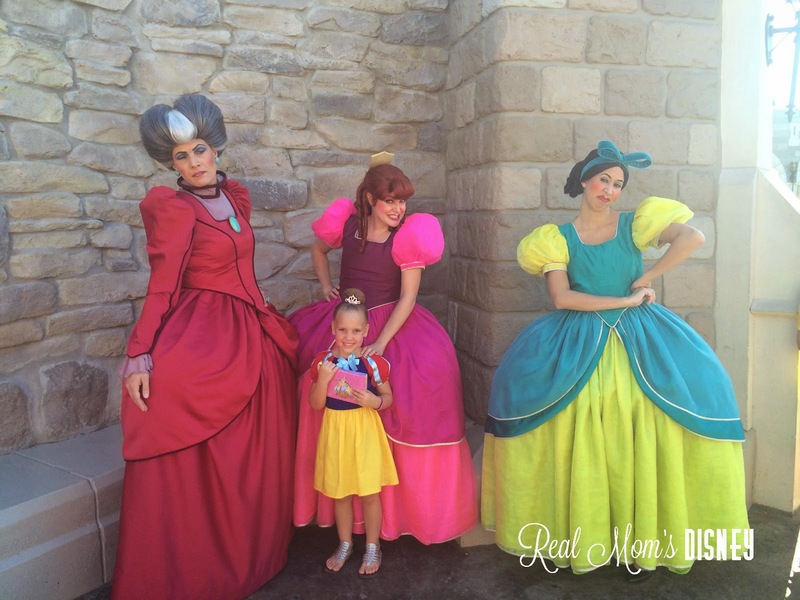 While you’re in planning mode, I highly recommend checking out the Real Mom’s Disney Budget Spreadsheet! It’s a great resource for keeping everything organized! Here are the top headlines from the parks and beyond this week! Hollywood Studios is offering a new Frozen Summer Fun Premium Package! It's available daily from July 5 - September 1 (with the exception of August 23). It will offer guests reserved seating for three new experiences, Anna & Elsa's Royal Welcome procession, For the First Time in Forever: A Frozen Sing-Along Celebration, and an exclussive dessert party in a reserved area for viewing of the nighttime Frozen fireworks spectacular. The package costs $59 for adults and $34 for children (including tax and gratuity; park admission is required.). Thinking of staying in a family suite at Disney's Art of Animation Resort? Check out this recent review from DisneyTouristBlog.com. Have you ever wondered if paying out of pocket is more beneficial for you than purchasing a dining plan? This dining plan calculator or these spreadsheets can help you decide what will be best for you. A big fan of the Haunted Mansion? You're not alone! This August, the famous Disneyland attraction will celebrate it's 45th anniversary, and as part of the celebration 100 new Haunted Mansion themed merchandise items will be introduced at the parks! Love Disney jewelry? Check out the new Alex and Ani line at DisneyStore.com! Disney Style is probably one of my favorite blog topics. Which probably makes me a nerd and I’m okay with that. If you've never been to a Disney park, or really any theme park before, one of the first things you’ll notice when you get there is that everyone has their own way of dressing. Some will make you want to cover your child’s eyes and some are absolutely adorable. Of course, you’ll see your fair share of princesses, princes, and pirates too. 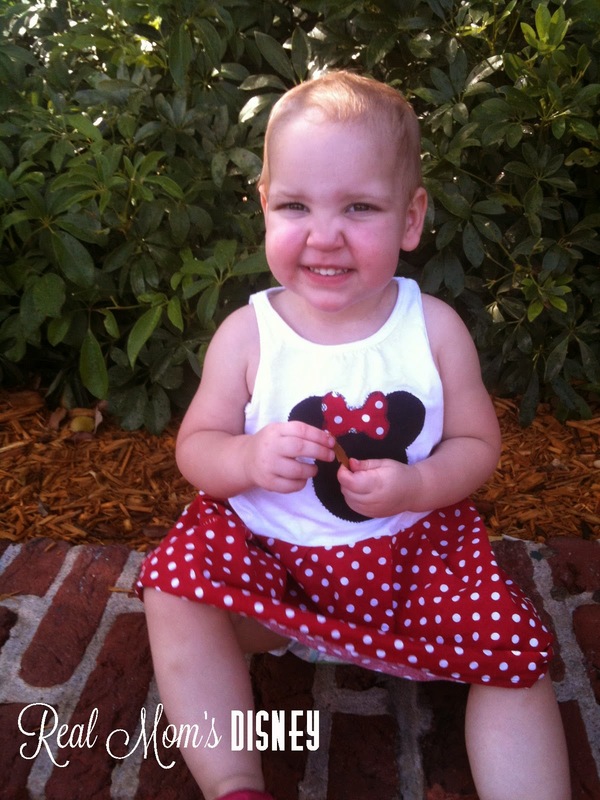 When we were planning our first trip to Disney, I wanted Anniston to have a special outfit for each day we were there. We were on a tight budget so I made most of the outfits myself. I decided to theme them around each park we’d be visiting that day. You can't see this one very well but it's a blue shirt with a leopard print Minnie ears and a leopard skirt. Another one you can't see very well. It was a tank dress with the material that looked "Hollywood." The applique is the Cinderella outline. This one was my hardest one. It was hard to come up with an idea and it was also hard to applique. This is the outline of the United States with a heart over where Arkansas is. I figured it worked with all of the different country pavilions at Epcot. We went to several parks this day since it was our "free" day. Our very last day. We ended with a standard Minnie shirt. When we decided we were going to make our second trip, I knew that I wanted to have Anniston wear cute Disney clothes again. My budget wasn't as strict this time, so my friend, Ashley, made Anniston outfits inspired by princesses. We loved them. However, I decided to take it one step further. I wanted to coordinate my outfits with Anniston. I tried my hardest to get Nick to coordinate with us. He did a day or two but mostly he just wore his own picks. Maybe I can convince him the next trip. I didn't wear actual princess clothing. If Anniston's dress was Sofia themed then I wore purple shorts and a white shirt. I say I did it for the pictures. And the pictures are pretty cute, but I also did it because I'm the nerd who likes the family to coordinate. The pictures below are just of Anniston's outfits. I figure most people will want to see her anyway; she's a whole lot cuter than me. :) I'll do another post later where I show you what types of things I like to wear to Disney. 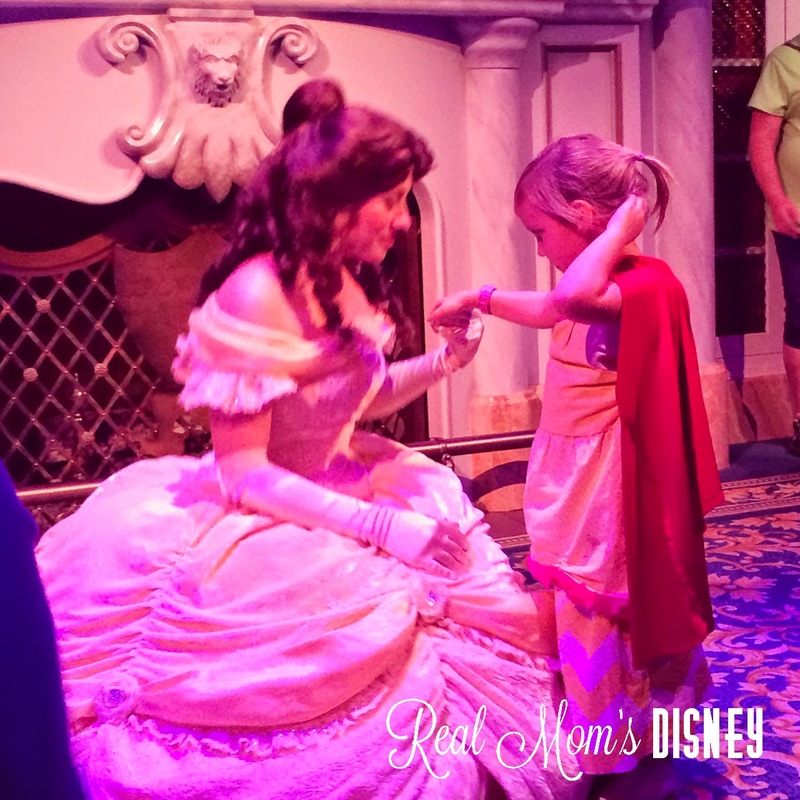 Although it's not great quality, I had to include the picture of Anniston meeting and dancing with Belle. She was so happy, she cried. And, there you go people. 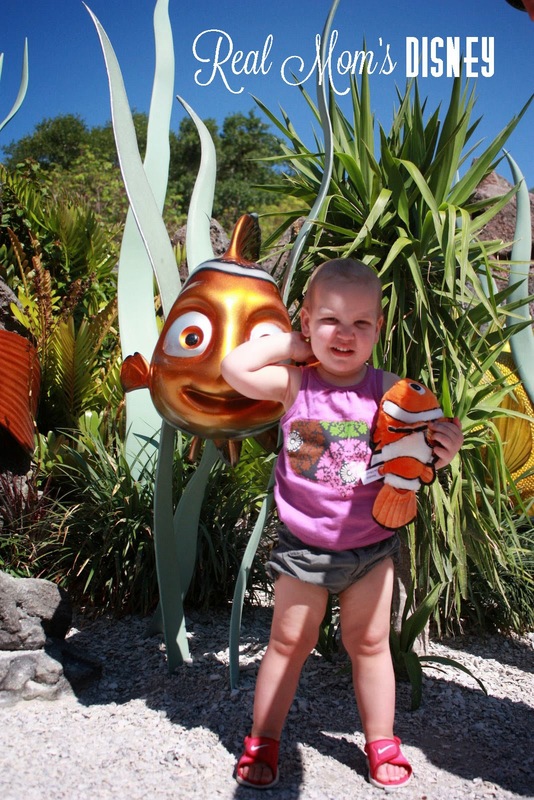 Reason #6565235 why we go to Disney - for moments like this. This was also the day we went to Bibbiddi Bobbiddi Boutique. Watch for a post on our experience there soon! She also wore the Snow White dress on the way home. This is how we all felt when we landed back in Arkansas. I can't wait to start planning outfits for our next trip. 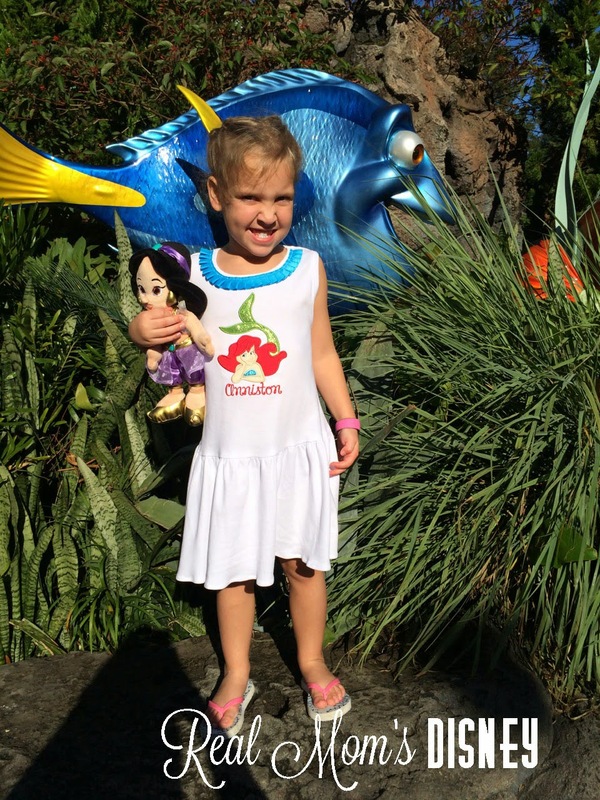 What are some of your favorite things to wear to Disney?